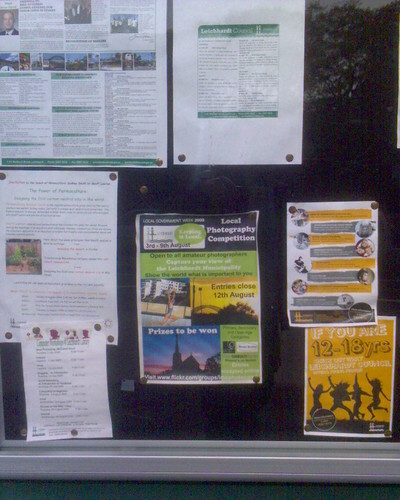 Competition poster on the notice board at in Darling Street Balmain. Take a photo in the Leichhardt local government area between 3 and 9 of August, and upload it to the ‘Keeping It Local: Leichhardt 2009‘ flickr group by 12 August to enter the competition. This entry was posted in Photos and tagged Balmain, competition, photo, sign. Bookmark the permalink.